This pin was released for Disney Twice-Upon-A-Year sale. The series feature different Disney film characters on a movie clapboard. 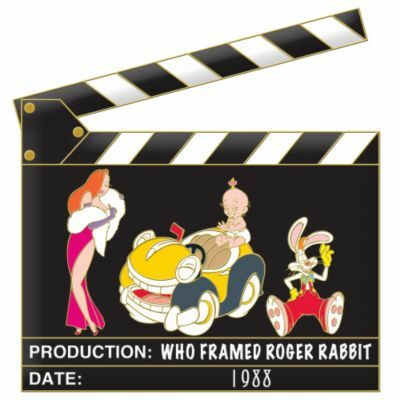 Jessica Rabbit, Benny the Cab, Baby Herman and Roger Rabbit are on the front, with the title of the movie and the year printed below in white.